Let's face it... teaching about themes in literature is hard! It's so difficult, in fact, that teachers don't seem to have a unified approach to teaching it. If you do a quick search on Pinterest, you will soon realize that there seems to be two approaches. 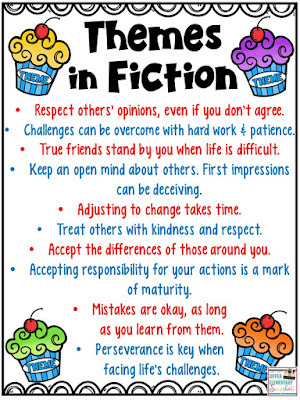 Some teachers teach their students that the thme should be stated in one word (honesty, friendship, etc. 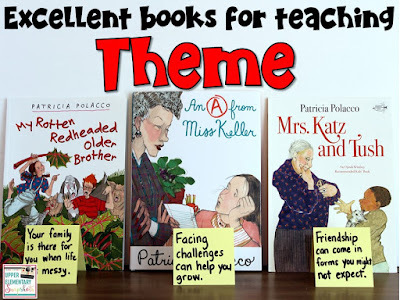 ), while other teachers stress that the theme should be stated in a complete sentence. I struggled with this for years, constantly second guessing whether I was teaching it "right". I finally decided that I needed to choose an approach and be consistent. I chose to embrace the "complete sentence" philosophy because it appeared to best match my state's standards. Last year, I ran across this blog post by Bonnie of Presto Plans that made me feel more confident in my decision... but it also challenged my thinking a bit! I realized that I was guilty of confusing the MORAL of the story with the THEME at times. Bonnie has a fabulous chart that illustrates the differences between main idea, moral, topic, and theme. These words are often confused when teaching students about themes in literature. 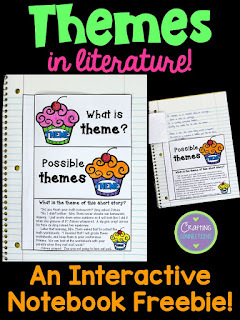 Now that you know a little about my "journey" with teaching theme, let me share a few of my favorite tips and activities for teaching upper elementary students about themes in literature! 1. Use the cupcake analogy. 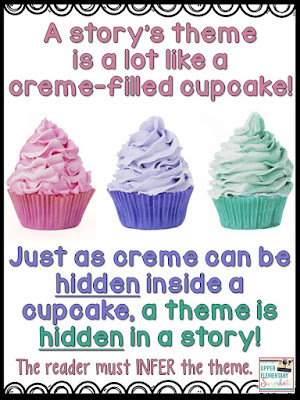 I use a PowerPoint lesson to introduce students to this analogy on Day 1 of my theme unit, and refer to it constantly. My students have always responded extremely well to it! 2. Use a guided question to help students get started. "What does the author hope the reader realizes after finishing this story?" Also, allowing students to brainstorm the answer to this question with a partner can be extremely helpful when this topic is first introduced. 3. 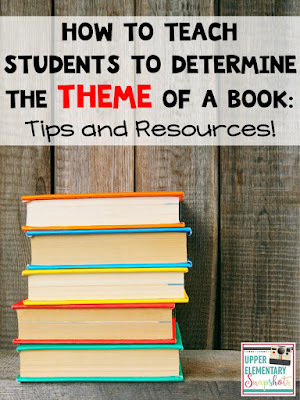 Search out lots of examples of theme statements. 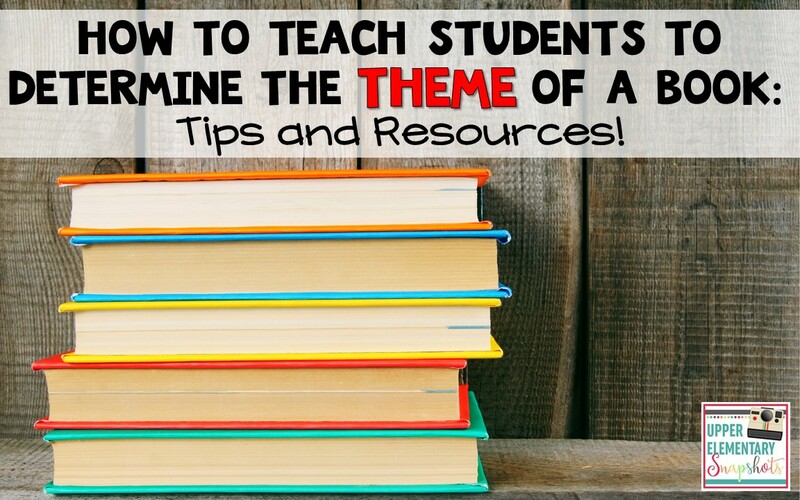 Some students struggle with writing theme statements because they tend to be a bit abstract. Therefore, it's important to read many theme statements with students in order to get a "feel" for their abstract nature. Click on the following images to download these free posters! Dishonesty can lead to negative consequences. Laziness can lead to negative consequences. Rude behavior can lead to negative consequences. 4. Read aloud picture books, and work together as a class to identify the themes hidden within the books. My go-to author for this concept is Patricia Polacco! Her books are so beautifully written, and always contain a theme that is relatively easy to pick out! An A From Miss Keller: Facing challenges can help you grow. Challenges can be overcome with hard work and patience. My Rotten Red-Headed Older Brother: Families face adversity together. Family members are there for you when life gets messy. Mrs. Katz and Tush- Friendship can come in forms you might not expect. 5. Create a tool for future reference. 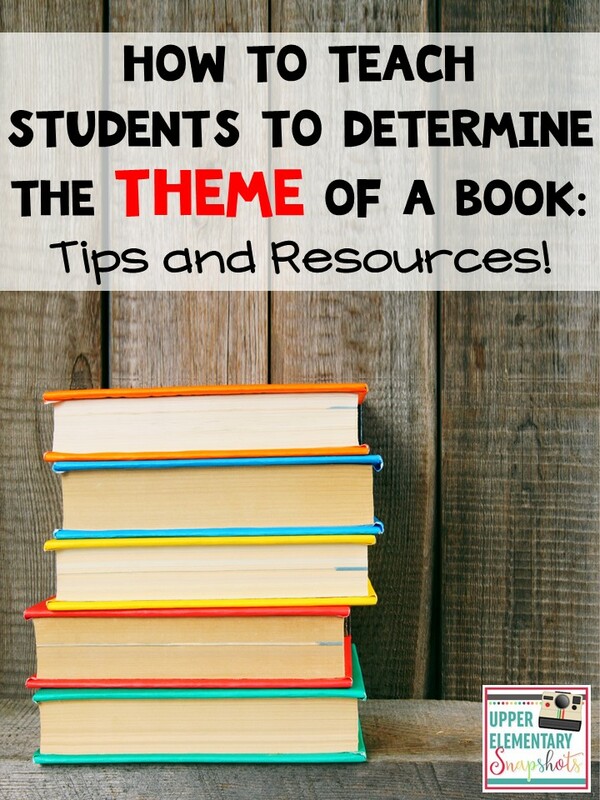 Theme is a topic that you will be referring to throughout your school year. 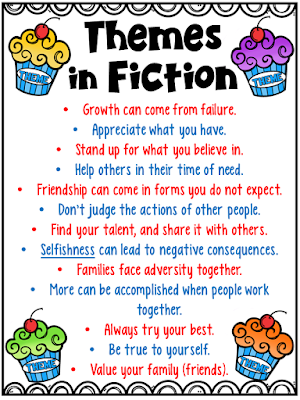 If you're like most upper elementary teachers, when you finish reading a book with students, you'll take a moment to decipher the book's theme(s). Therefore, it is helpful for many students to have some sort of tool they can reference. 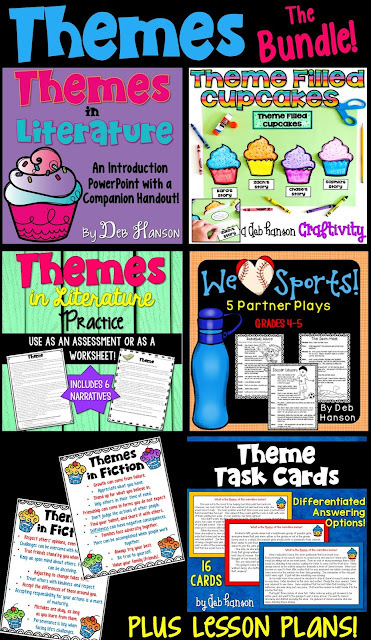 My favorite tools that allow for future reference are anchor charts and interactive notebook entries. Below, you will see my theme anchor chart. 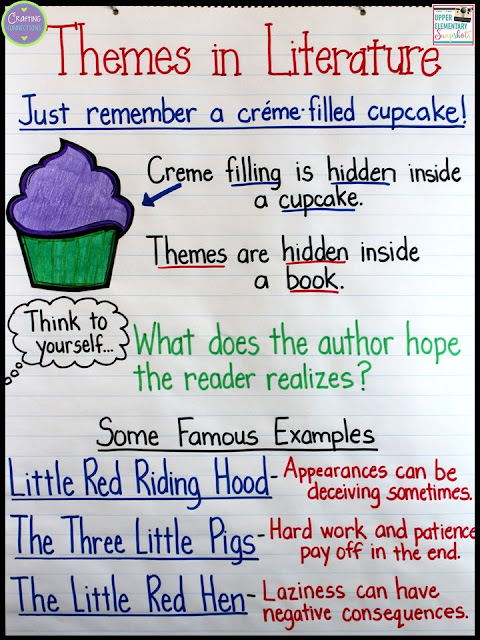 Click on this image to hop over to my blog and download this free interactive notebook entry. Is teaching students to identify the theme of a piece of literature one of your yearly objectives? If so, be sure to check out my THEMES BUNDLE! It even contains my lesson plans that shows how I have organized this particular unit for my own students.